The morning of August 5, North York Ryerson student Brian Wijeratne woke up to the sound of police tapping at his door. The police told him that there had been a car accident, and that his mother, father and younger sister were all involved. He was told that his father and sister were dead, and that his mother was critically injured. You can imagine the panic, shock, anxiety which settled in to Brian. Police took Mr. Wijeratne to Sunnybrook Hospital. It was learned that the Wijeratne family was returning from a 5 day vacation. The car accident happened when a drunk driver was travelling the wrong way on the eastbound QEW ramp onto Highway 427. The result was a head on collision between a SUV and the Wijeratne minivan. Jayantha and Aleesha Wijeratne both died. Antonette Wijeratne was remained in Sunnybrook Hospital with critical injuries. She will live. Now put yourself into Brian Wijeratne’s shoes. Sister dead. Father dead. Mother injured at hospital. While he was not injured physically in the accident, the psychological and emotional toll this must have taken on poor Brian is simply devastating. Sometimes psychological and emotional injuries are more severe, and more difficult to overcome than physical injury. This is certainly one of those cases for Mr. Wijeratne. Now put yourself in the drunk driver’s shoes. He will do his time in prison. He will get a good lawyer. If he doesn’t get a good lawyer, then I would imagine that a good lawyer would step up to the plate to defend him knowing that this will be a high profile case which will garner lots of media attention. The Crown may offer a plea deal because they don’t have the resources to try the case. Or they may believe there isn’t sufficient evidence on hand to convict the drunk driver to the fullest extent of the law. Or, there may very well be a trial and the judge might sentence the drunk driver to years in prison. But that very same drunk driver will eventually get out of jail and will be able to start his life again fresh from ground zero. While he may never be able to drive a car again, or he may have to wait a very long time to regain his license, he will be free. He will not have to live with the pain, agony, anger, sadness or frustration of losing a loved one. If you haven’t read or heard about the Wijeratne drunk driving case, I would consider it the most traumatic car accident of the summer of 2012 which Toronto saw. I’ve highlighted a few good links to articles summarizing what happened. What’s even more frustrating to those victims of drunk drivers and their family members is that all of this could have been averted had the drunk driver simply made a better decision. Had that person not drank at all or as much, had the called a taxi, had they had a designated driver, had they stayed at a hotel or over at a friends. Whatever it may have been, the car accident would have been averted had better decisions been made. 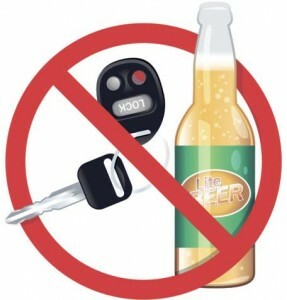 In my experience, the drunk driving victims I’ve seen enter the doors of our law firm are never fully able to let go of the traumatic experience of getting hit by a drunk driver, or having a friend or family member injured by the hands of a drunk driver. There’s always a piece of them which remains angry, sad, fearful, bitter, enraged, or insert other emotion here. Rightfully so. I would be livid. That’s why groups such as Mother Against Drunk Driving and Ontario Students Against Impaired Driving offer support groups for surivors and their loved ones of drunk driving accidents. What makes my job as a personal injury lawyer even more difficult, is that I know that no matter how much money I recover on behalf of my drunk driving accident clients, it will never be enough to make them feel whole, or make them feel at peace. While the case might have closed, their lives go on and the memory remains. Counselling certainly helps, but their lives have been changed forever on account of one really bad decision which was completely out of their control. Enough sad and depressing legal stuff. 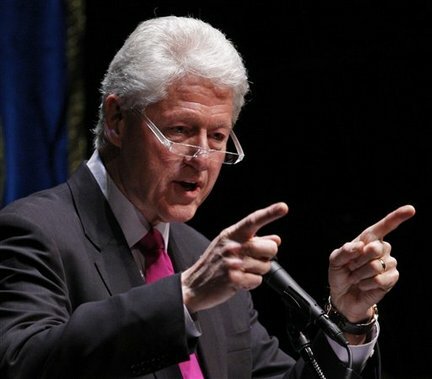 Did any of you catch Bill Clinton speaking at the Democratic National Convention. He’s the BEST public speaker I’ve ever seen. Period. Can you think of a better public speaker over the past 3 decades? I was pretty good in Grade 6 capturing 4th overall at the Ontario Provincial French Immersion Public Speaking Championship or La Concours D’Art Oratoire for all you Frechetters out there. But I still finished in 4th in the Province. Bill Clinton would have finished in 1st, and had all the of Judges eating out of the palm of his hand. Wow. He’s that good. They’re saying that Clinton’s speech will help put Obama over the top. I wouldn’t go that far. But, if there weren’t term limits for Presidents, I have no doubt that Clinton would still be President. That guy is magic. He spits champagne. Republicans fear Clinton and hate Clinton for good reaon. He’s just that good. Final mention to the Team Canada National Men’s Soccer Team as they take on Panama tomorrow night at BMO Field in Toronto in the next round of World Cup Qualifiers. It’d would be great for soccer in Canada, and great for Canada in general if the men’s team would qualify for the biggest sports tournament in the world. The women have already done it. Now it’s the mens’ turn. Common you Reds! Good Luck!